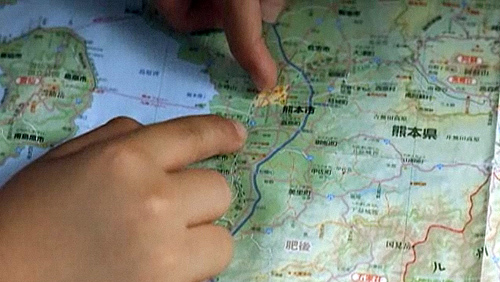 “Maybe a miracle will happen,” ten-year-old Koichi (Koki Maeda) says, after hearing from a classmate a rumor about the new bullet train. The rumor is that when the incoming and outgoing trains pass one another, each racing at 160mph, one can make a wish and it will come true. What Koichi wants more than anything is for his family to be back together. Koichi and his mother have moved to live with her aging parents in Kagoshima, a city perched across a bay from a volcanic mountain, Sakurajima. Every morning when he wakes up, he retrieves his air-dried swimming trunks from the balcony outside only to find that they are covered with volcanic ash, which he disgustedly knocks off. He fastidiously wipes down the floor mats in his room, as if to express his hatred of the entire situation. In semi-secretive phone calls to his little brother Ryu (Maeda’s real-life little brother Oshirô, equally geeky and winning) — who’s living in Osaka with their musician/lie-about father — Koichi tries to persuade him to conspire to bring their parents back together. As much as he misses his brother, the happy-go-lucky Ryu appears less eager to reunite their parents, for reasons we see only gradually. Nor are children the only ones who believe in some form of magic. Koichi’s parents separated because his father (Jô Odagiri, aka total hearthrob) put more effort into his music than earning a living — a fool’s errand if ever there was one. An elderly couple spends an evening pretending that perhaps that sweet child really is their grandchild, the child of their long-gone daughter. Koichi’s ham-fisted homeroom teacher, Mr. Sakagami (Hiroshi Abe, hearthrob x2) believes with one clunky gesture that he might serve as a father figure for the boy. Once we start to see the full landscape of wishes, foolish hopes, and magical thinking, we realize that there are so many competing and contradictory wishes swirling around the universe that they kind of cross each other out. 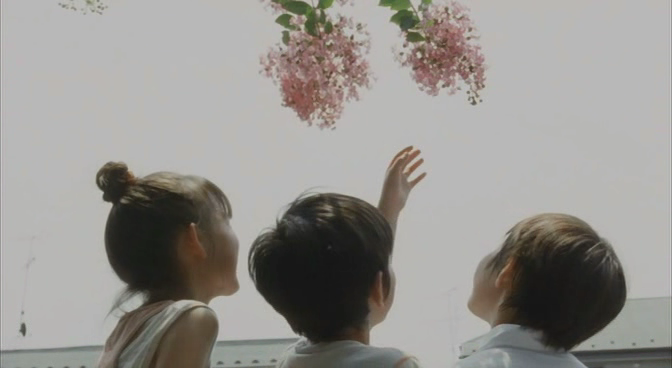 I’ve only seen three of Kore-eda’s elegant films, yet I’m completely in love with his vision. 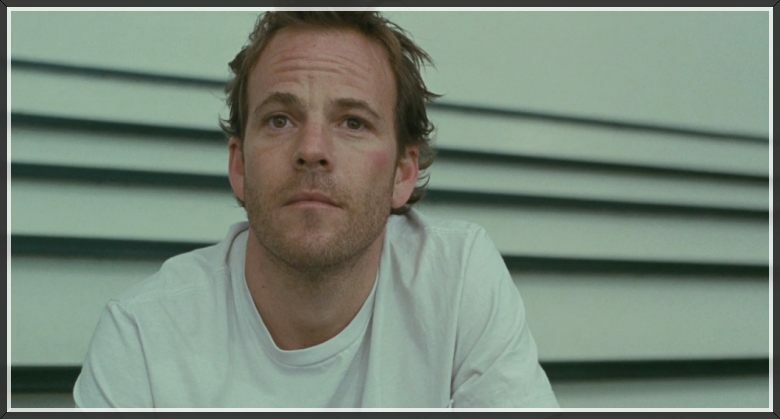 The best was Still Walking (2008), with its tense family reunion of people disappointed with one another. 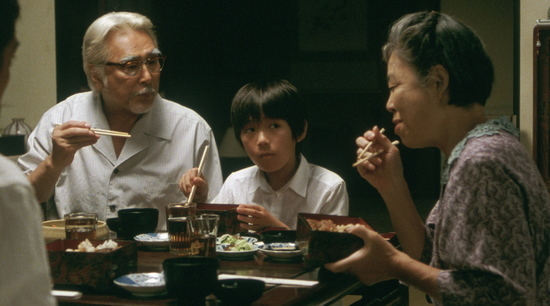 Kore-eda has a way with children, as he showed in Nobody Knows (2004), a wrenching film about a family of children effectively abandoned in a tiny apartment by their mother whose best (worst) advice was to remain under the radar of neighbors and the authorities. I Wish is sweeter, gentler, more evocative — and his two main stars, the Maeda brothers, have a grace before the camera that feels magical on its own. This film feels so much kinder than this director’s previous films that its ultimate themes of reconciliation and realization sneak in slowly. On some level, we start to see that we engage in magical thinking at the very same time that we are realists. It’s one of the gentlest films about existence I’ve seen. But just because its protagonists aren’t faced with life and death terrors doesn’t mean the stakes are low, or that the director has nothing important and original to say. Frankly, after seeing films that put their child characters at serious risks, it was a relief to see these children permitted to be children, given the gift of wishing without the horrors of what I think of as “movie reality” dashing all their innocence to shreds. I will also say that this film benefits from subtlety and the specificity of culture — one must watch carefully, rather than get distracted during the bits that might look slow to someone used to over-caffeinated Hollywood fare. It feels quite Japanese, with its references to karukan cake and Japanese baseball heroes and J-TV that most Americans won’t recognize. But I hope you watch it anyway and let the unfamiliar bits wash over you while you focus on the director’s larger themes (as well as those impossibly wonderful Maeda brothers). I loved this film, and am now working to find a way to see Kore-eda’s back catalogue of directorial efforts. Meanwhile, for those of you awaiting Hurricane Sandy’s wrath: good luck! Before the Academy Awards I heard a lot of doomsaying from critics about the tedium of Best Picture nominees. “The form is dying!” someone is always bound to say at moments like this, because declaring the premature death of a genre is a way to get a lot of hits on a webpage. This post is all about fresh, innovative films I can’t stop thinking about. Now, I love a good story — the kind of story told in, say, in such enjoyable but unchallenging films as the Coen Brothers’ True Grit or Tom Hooper’s The King’s Speech — but just lately I’ve seen three more experimental films that mess with the genre altogether. They take on different modes of storytelling and camerawork, cross over into stage and formal painting, and sometimes eschew words altogether. The risks they take, and the things they achieve, give me new hope for the genre and make me wonder what film might do next: these films feel exciting, fresh, and wildly successful if not popular. The Arbor, The Mill and the Cross, and Le Quattro Volte are films for pushing out from the form’s limits. I’ve already raved about The Arbor, pronouncing it to be one of two winners of my own La Jefita awards for the best female-directed film of 2011. So you’ll excuse me for puffing this one again — it’s just so good. It’s ostensibly a biography of Andrea Dunbar, a precociously gifted young playwright who emerged from a miserable housing estate in Yorkshire rife with the diseases that often accompany poverty — racism, alcoholism, mutual misery. Her plays re-created those voices and conflicts, and was called “a genius straight from the slums.” Meanwhile, Dunbar never escaped that world: she died at age 29 in a pub after a hard life of drinking, bad relationships, with three children born to three different men. What I love so much about this film is the way it folds many layers of theater — specifically Dunbar’s own theatrical style — into the film. In some scenes actors sit in the middle of Dunbar’s own housing estate and re-create snarling, spitting scenes from her first play The Arbor, as current residents stand around the edges watching awkwardly. In others, we see those scenes re-created more intimately, as if they’ve been done for a film version of the play. Best of all, still other actors lip-synch the recorded interviews done with Dunbar’s family and especially her two daughters, girls left with the legacy of their mother’s gifts and weaknesses. I’ve always preferred film to theater, mainly because I’ve had only stunningly limited access to good theater, and I’m one of those people who complains when a film feels overly stage-y or when an actor performs too theatrically. I can honestly say that only once before, in watching Vanya on 42nd Street, did it occur to me there might be so much to be gained by an overlap between the two media. Thanks to The Arbor, I’m converted. Isn’t this how it goes? I make a bowl of popcorn (popped in a pot on the stove with olive oil and butter so you can taste a few burned bits); I adjust all the shades in the living room so the light is just right; and I pop my head into the room where my partner is working. Blank stare and a flat “no.” And with that, I realize this is going to become joke fodder: Unbelievably Bizarre Films Didion Thinks She Can Make Me Watch. When I took Intro to Art History as an 18 year old undergrad, it was Bruegel above all whose work I found riveting. He loved to lavish attention to the mundane bits of everyday life: the country dances and bread baking and field workers that passed his eye every day — and he rendered those figures with a kind of affection that seemed rare for that era (to an 18-yr-old undergrad, anyway). He loved to see children at play and portrayed the hunch of a workman’s back, bent over his plough, with love. But Bruegel’s attention to the quotidian could also carry deep political statements. 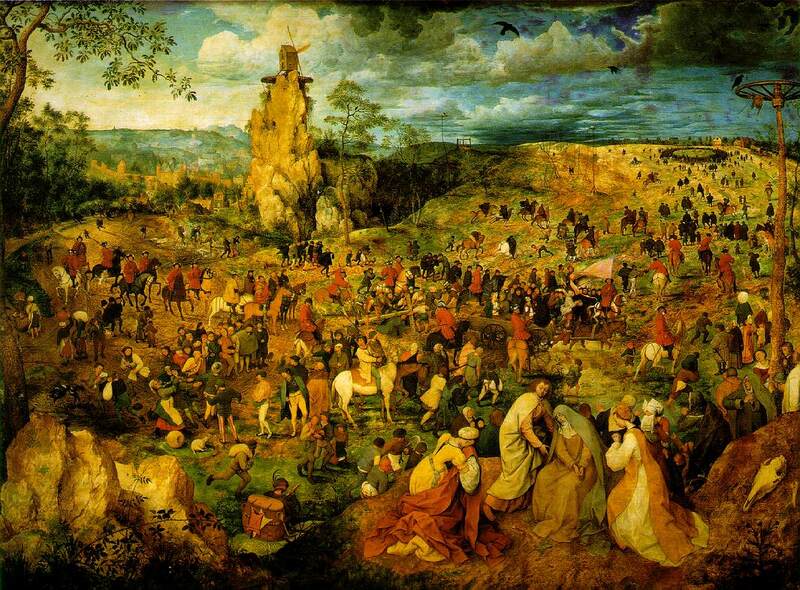 So when I say that The Mill and the Cross simultaneously re-creates Bruegel’s painting and pries it open, you’ll forgive me if I skip all the spoiler details so you’ll experience the same sense of wonder. Just wait till you see the inside of that crazy mill at the top of the painting or the scene of a pile of children tumbling out of bed in the morning — and just wait till it ends. 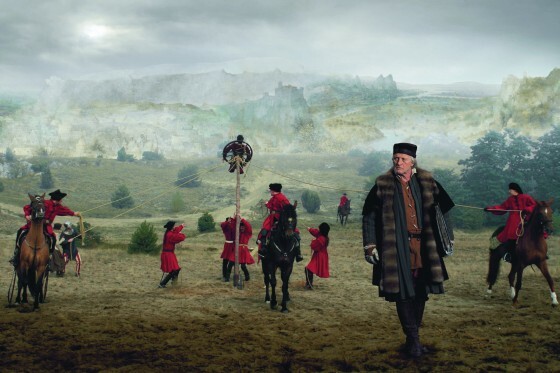 Just like Bruegel, Majewski occasionally indulges in fantasy — and just like Bruegel, he shocks you with sudden bursts of violence, laced with hints of political significance. This painting was created during a period of Dutch lay opposition to the Inquisition as it had been implemented in part by the state. Spanish soldiers circle around this film, but the film demands that you do the work of figuring out what they’re doing, and why they’re doing it. 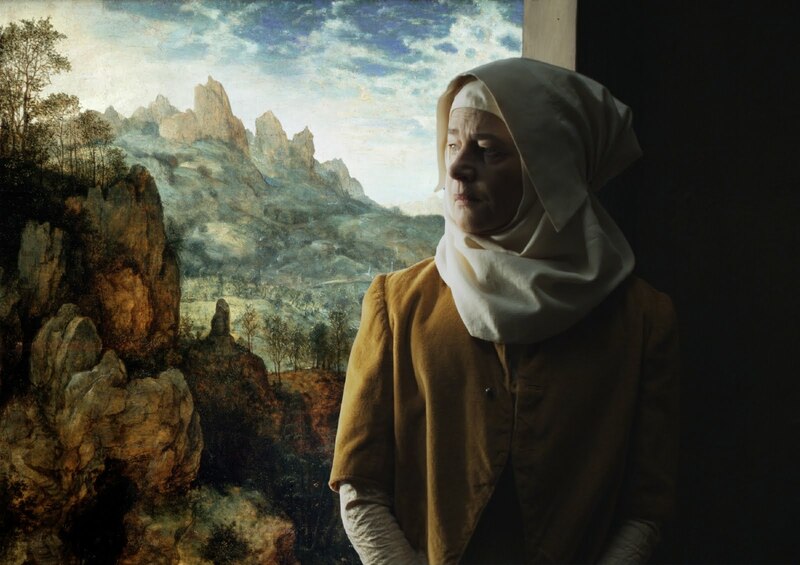 But the most amazing thing about this film is that at the same time it teaches you something about art history, it ultimately shows you that we are always blind. At the same time that your eye keeps lapping up detail (JB over at The Fantom Country described it nicely as “the canvas moves”), you start to realize you’ve missed something important. The film has the same deeply humane and reformist vision as The Procession to Calvary, and this is a remarkable thing. There have been a lot of films that purport to show you artists at work. After seeing The Mill and the Cross you’ll be hard pressed to remember any of them. Let’s begin with Pythagoras, who lived in Calabria in the 6th century BC and spoke of each of us having four lives within us – the mineral, the vegetable, the animal and the human. “Thus we must know ourselves four times,” he explained. What kind of a crazy person decides this is the fodder for a film? 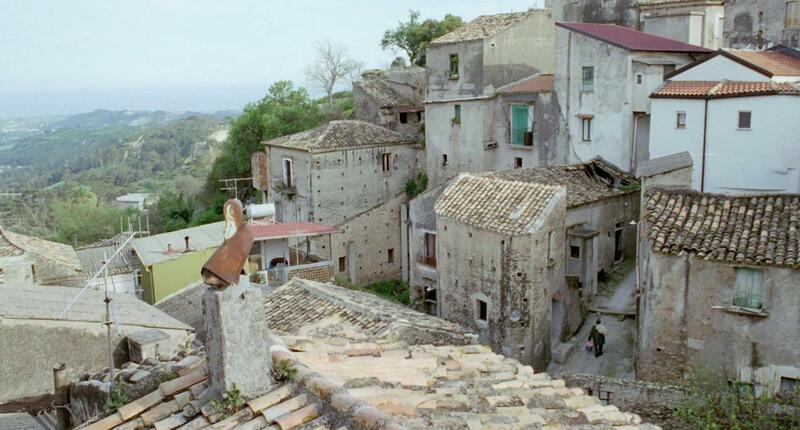 Yet that’s what Michelangelo Frammartino does: he returns us to a tiny Calabrian village to tell of those four times (quattro volte) in an film utterly free of dialogue. Maybe this already sounds pretentious. I can assure you it’s so unpretentious as to almost be a secret. 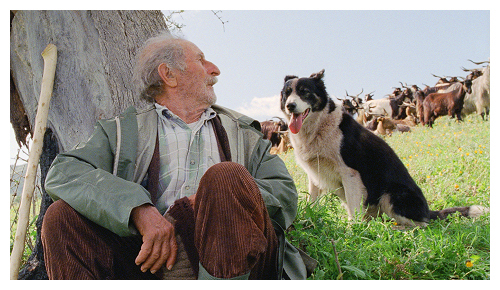 Frammartino uses abrupt cuts and surprising vantage points — one minute a bird’s eye view of the village, the next a goat kid being born — and prevents you from feeling comfortable all the while. You’re never quite sure what’s going on, and the lack of dialogue forces you to scrutinize the scenes all the more closely. A long, long shot of a mountaintop or a tree makes you wonder — what am I supposed to see here? Did I mention the film contains moments of humor that are almost as silly as a Buster Keaton film? You’ll also be surprised that Frammartino can tell stories of vegetable and mineral just as effectively as those of human and animal. 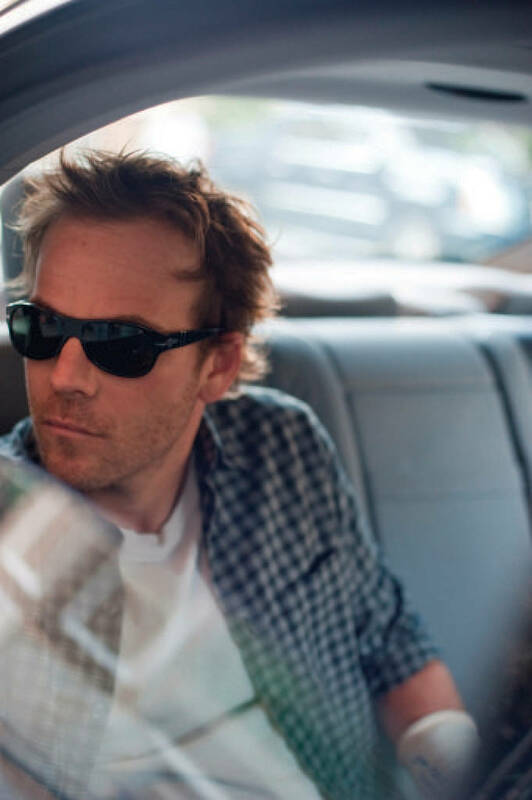 In fact, you’ll be surprised to see how he segues from one to the next, and how you can find yourself so weirdly involved in each of the film’s four movements. Way back when I started this blog and wanted to create lists of my favorite films, I created a category called “films about existence” — a category that seems eminently problematic, yet still encompasses what these three films are doing. Each of them stopped me in my tracks as much for their innovative narrative styles and intersection with other art forms as for the extraordinary places they took me in considering the metaphysical. I’m going to keep my eyes on the field for similarly innovative, risky films. Let me know what you think I should see. Mija lives with contradiction. So do I, and so do you, of course, but in Lee Chang-dong’s Poetry, it seems so stark. 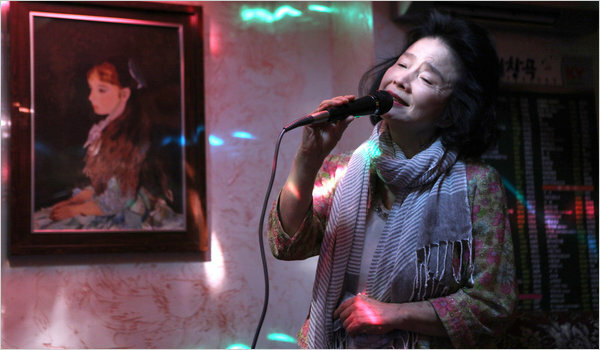 This 66-yr-old grandmother (played by beloved Korean actor Yoon Jeong-hee) has an almost whimsical lightness, as when she announces she’s going to take a poetry class at the cultural center. “I do have a poet’s vein,” she says. 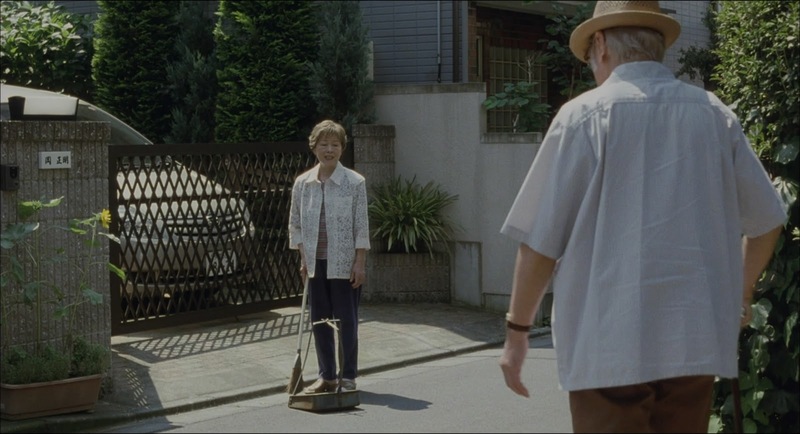 “I do like flowers and say odd things.” Yet her life also looks pretty bleak from our perspective, from the grim apartment she shares with her sullen teenaged grandson (Lee Da-wit) to her part-time job working as a maid and caregiver for an old man who seems to have suffered a stroke. This movie is a small masterpiece that reminds me of exactly why I watch film: to find unexpectedly searching, overwhelming films that haunt me for days afterward. Poetry is such a perfect central conceit for the film, for the class sends Mija into an eager new determination to see the world with fresh eyes. When her teacher explains, “Up till now, you haven’t seen an apple for real,” she gazes up at him with naïve awe. “To really know what an apple is, to be interested in it, to understand it,” he explains, “that is really seeing it.” This is exactly Mija’s view of poetry: lovely words about lovely things. 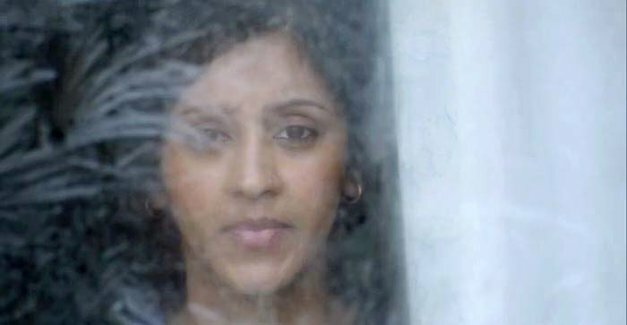 But as she struggles to complete her sole assignment for the class — to write a single poem — her world begins to change, and she finds herself forced to see the ugliest things. Mija may seem a bit foggy-headed in her innocent cheeriness, but we realize soon enough that everyone around her works is even more expert at overlooking their own pain as well as the tragedies of others. When she learns that she has the early stages of Alzheimer’s, she won’t tell her daughter, who lives in another city and seems to have very little to do with her son Wook. Instead, Mija cheerfully explains on the phone that the doctor told her to write more poetry, and then proceeds to boast a little about how close she is to her daughter, what good friends they are. But when she does broach something more serious — the fact that Wook is driving up her electricity bills to unmanageable levels — her daughter seems to brush over and ignore Mija’s precarious financial situation. Mija’s almost comical attempts to sing away her worries at a karaoke bar or gaze into the soul of a tree or a piece of fallen fruit in search of poetic inspiration appears, after all, to be perfectly in keeping with the head-in-the-sand approach to life taken by all around her. There is one thing that cracks her surface dottiness: learning that not only is her grandson Wook a typically self-centered teenage douchebag, but he’s also a member of a group of boys responsible for a shocking series of crimes. It’s so shocking, in fact, that Mija’s first response is to repress the information — and you realize by the end of the film that we viewers, too, are weirdly eager to repress it. 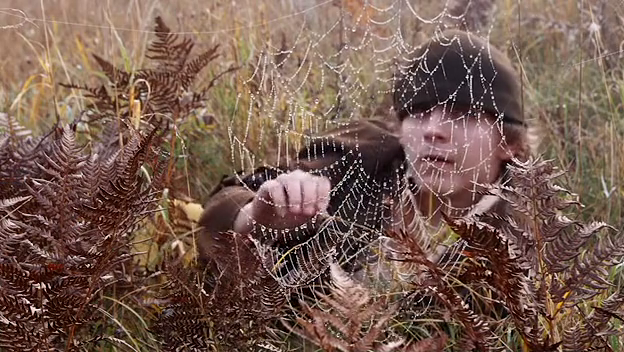 It’s the most eerie bit of finger-pointing I’ve ever seen a film achieve. The other boys’ fathers invite Mija to a cafe to discuss the problem — and by problem they mean how to bribe the victim’s family so they will not bring in the police to prosecute the boys. These men insist they feel bad about the crimes, but “now’s the time for us to worry about our own boys” — the boys’ futures must be secured. Mija wanders outside in a daze, crouches near a lovely flower, and takes out her notebook to jot down some poetical notes. Yet despite her instincts to repress the information, now when she sees red flowers, she can’t help but take notes about blood and pain. It’s extraordinary, this film. It’s sending me on a quest to locate all of Lee’s previous films — not an easy task, as it turns out — and confirms my uneducated view that South Korea is one of the very few most creative cinemas in the world right now. It’s also one of the few that regularly features retirement-age women in phenomenally complex and rich parts — witness last year’s Mother, which should have earned its star a best-actress Oscar. There’s also a feminist vision at the center of this film that I can’t delve into without spoiling crucial parts of the plot; and I can’t help but see a potent political fable in Poetry, one that worries about society’s future in a way that is both transfixing and, ultimately, transcendent. Please see this film, and then tell me how much its elements come to you in dreams and visions. For it has most certainly haunted me in a way no thriller or horror film can. I’m feeling so sheepish for having skipped seeing this for so long — because I’m so blown away by this film’s simplicity and elegance. There’s something so unnerving about the blue, blue eyes of these Scandinavian men as they perceive the world around them and try to make sense of it. Its themes about the nature and inevitability of violence, the psychology of revenge, and the sources of petty cruelty are painted so exactly and without decoration that I can’t believe it has never been done before. Most moving for me is young Elias (Markus Rygaard), whom the mean boys call “Rat Face” at school; but equally touching is his father (Mikael Persbrandt, above) who’s determined to model gentleness and gentlemanliness to his sons. Beautiful, stunning: it’s exactly right that Danish director Susanne Bier has won the Oscar and all those piles of other awards. I don’t even want to ramble on about it — just see it. For a couple of weeks now I’ve been in close contact with a former grad student who’s been looking for a salaried academic job for five years. Such a long time on the academic job market isn’t uncommon anymore, but it seems worse to her because last winter she finally signed a contract for a good job, only to have the university renege on the contract (they claimed statewide budget cuts). No wonder she’s now full of a terrible bundle of resentment, defensiveness, and misplaced shame. No wonder she has a hard time working up the energy to start applying all over again. The problem she’s facing is that all those resentments bubble up to the surface and inflect her interviews. When one interviewer asked her recently about how her book manuscript was coming along, she blurted out, “I’ve been adjuncting for up to six classes a semester taught at three universities spread out over 110 miles! Sometimes I drive four hours a day just to get to and from class!” Another interviewer asked why she’d want a job at his third-tier school in Nebraska, and she said, “In this job market? you can’t seriously be asking me that question!” These are, of course, not the “right” answers. Even though we all learned at some point to maintain perfect composure and patience during interviews, she’s suffered such long-term trauma about work that she’s lost that mask—and losing it has caused her to suffer even more a sense of failure and frustration. Every single conversation brings up all that bile, to her detriment. Thus, long-term trauma has thus been on my mind lately—and we know from our Psych 101 classes that it begins with the family, which is where it appears in the beautiful, acidic, funny film Still Walking (Aruitemo, Aruitemo), easily one of the best films I’ve seen all year. Director Hirokazu Kore-eda takes as his subject the gathering together of two 40-something siblings and their families at the home of their aging parents, a gathering oriented around the commemoration of the siblings’ beloved oldest brother’s death a dozen years earlier. What seems at first glance to be mundane is fraught with meaning. The siblings’ 70ish mother (Kirin Kiki) cooks constantly and somewhat frantically, varying her conversation between cheerful gossip and firm instructions about recipe preparation, with occasional dips into disapproval and superstition. The father, a retired doctor (Yoshio Harada), locks himself in his examination room with undisguised crankiness. Their grown daughter (You) has already arrived with her cheerful RV-selling husband and their rambunctious and good-hearted children, all of whom behave like they’re ready to appear in a sitcom about an ideal family. They are waiting for the arrival of their second son, Ryota (Hiroshi Abe), who’s not ready for any sitcom at all. There’s a list of the ways Ryo is not looking forward to this visit. First, his job as an art restorer is so tenuous that he spends most of his time on the phone seeking out new work; there is no way he’s going to tell his parents that he’s struggling to pay the bills. Let’s not even talk about the fact that he’s not a doctor like his father, a longstanding source of serious friction. Second, he has married a widow (Yui Natsukawa) with a young son from her first marriage, an act that his mother pronounces unlucky. Why couldn’t he have married a divorcée, they mutter when he’s not around. And finally–most important, if you ask Ryo–he’s always going to be the second son, second in their love forever, always behind his long-dead brother. In other words, this is a visit like every other family visit: everyone walks around with their nerves on full alert, like very long cat’s whiskers on a hair-trigger response system. And so they begin the frantic attempt to tick away the hours. Aside from the ritualistic trip to the cemetery there’s not much to do, so they spend it eating, eating, eating. They talk about eating, and in between they say unconsidered things to one another. Ryo’s father reluctantly emerges from his room for dinner, only to offend Ryo’s eager-to-please wife. Meanwhile, Ryo is so wrapped up with his own resentments that he fails to notice that his parents are treating his adopted son, Atsushi (Shohei Tanaka), so formally that he may as well be a stranger. Beautiful, weird, chilling, funny, cringe-making–the Yokoyamas might as well be your family. Roger Ebert calls Kore-eda one of the finest living directors in the world and the true heir to Yasujirō Ozu, who developed such eloquent, complex views of human relations. Me? I’m going to hunt down every single one of Kore-eda’s films on my path to deciding whether I agree.